recently i gave a poetry assignment to my 4th and 8th graders. doing this project gave me the opportunity to revisit poems i had not read in years and learn about the stories behind them, from the poet’s point of view. the idea was really cool and i decided to collaborate with some of the poets from the project. my undying gratitude for their borrowed words. should i be a bit worried that my contribution is not as enlightened as their original thoughts? nah….. it makes for an interesting picture. i’ve been obsessed with anatomy lately. 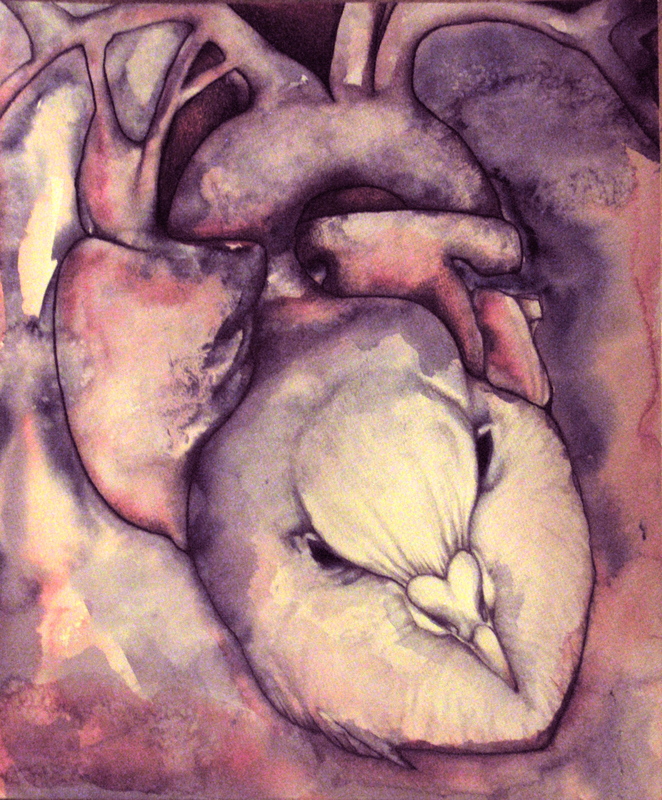 the human heart is beautiful and frightening at once i think. a dove, of course, is synonymous with hope, but they can be a little scary too, hitchcock anyone? until it’s bloody and raw. 31 Oct	This entry was published on October 31, 2011 at 2:21 am. It’s filed under artwork and tagged Dickinson, dove, exquisite corpse, hope, literature, pencil, watercolor. Bookmark the permalink. Follow any comments here with the RSS feed for this post.